Purchase a Vintage Movie Nights pass and save! 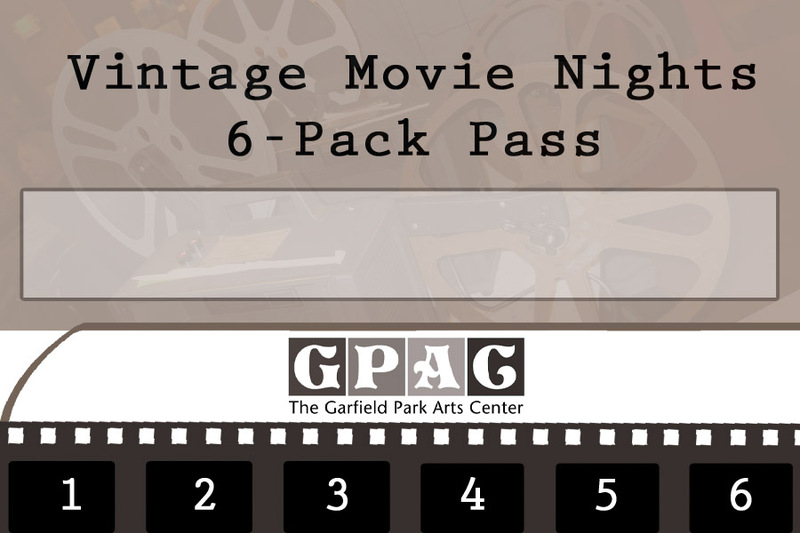 This pass gets you into 6 Vintage Movie Nights for the price of 5, and you will also get free popcorn when you present your punch card at the concession window. Please bring your pass to the GPAC and have the lobby attendant punch it each time you come in. The GPAC is not responsible for lost passes—no record of movies viewed is kept. Passes are non-transferrable (only the person listed on the pass may use the credits) and must be presented with ID. No refunds once pass has been picked up. Passes can be purchased at the front desk, or by calling (317) 327-7135. Really enjoyed this blog post, can you make it so I get an alert email when you write a fresh article? You can subscribe to our blog, which will deliver new posts directly to your inbox! Just submit your email address to the “Subscribe to our blog!” on the left side of the page, under the search bar.